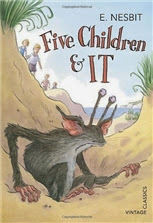 Five Children and It by E. Nesbit is a delightful episodic children’s fantasy first published in 1902. It tells the story of five siblings — Robert, Anthea, Cyril, Jane, and their baby brother, known as the Lamb — who come across a Psammead, or sand fairy, in a gravel pit on the Kentish countryside. The Psammead has the power to grant wishes, and it comes to an agreement with the children: it’ll grant them one wish a day, to be shared among the five of them, which will disappear at sunset (though any consequences of the wish will remain). This being a comedy, almost all of the children’s wishes backfire with hilarious consequences. Over the course of Five Children and It, we watch the five siblings get intro scrapes and then do their best to get out of them again — or at the very least to hang on until sunset, when normality will be resumed. Now that I have begun to tell you about the place, I feel that I could go on and make this into a most interesting story about all the ordinary things that the children did – just the kind of things you do yourself, you know – and you would believe every word of it; and when I told about the children’s being tiresome, as you are sometimes, your aunts would perhaps write in the margin of the story with a pencil, ‘How true!’ or ‘How like life!’ and you would see it and very likely be annoyed. So I will only tell you the really astonishing things that happened, and you may leave the book about quite safely, for no aunts and uncles either are likely to write ‘How true!’ on the edge of the story. Grown-up people find it very difficult to believe really wonderful things, unless they have what they call proof. But children will believe almost anything, and grown-ups know this. That is why they tell you that the earth is round like an orange, when you can see perfectly well that it is flat and lumpy; and why they say that the earth goes round the sun, when you can see for yourself any day that the sun gets up in the morning and goes to bed at night like a good sun as it is, and the earth knows its place, and lies as still as a mouse. Yet I daresay you believe all that about the earth and the sun, and if so you will find it quite easy to believe that before Anthea and Cyril and the others had been a week in the country they had found a fairy. At least they called it that, because that was what it called itself; and of course it knew best, but it was not at all like any fairy you ever saw or heard of or read about. I do not wish to describe the picnic party on the top of the tower. You can imagine well enough what it is like to carve a chicken and a tongue with a knife that has only one blade – and that snapped off short about half-way down. But it was done. Eating with your fingers is greasy and difficult – and paper dishes soon get to look very spotty and horrid. But one thing you CAN’T imagine, and that is how soda-water behaves when you try to drink it straight out of a syphon – especially a quite full one. But if imagination will not help you, experience will, and you can easily try it for yourself if you can get a grown-up to give you the syphon. If you want to have a really thorough experience, put the tube in your mouth and press the handle very suddenly and very hard. You had better do it when you are alone – and out of doors is best for this experiment. I think my favourite episode was the one where the children wished for wings, though I also loved the chapters about their home being turned into a castle — especially because it gives Nesbit the chance to poke fun at historical novels for children that use pseudo-medieval dialogue. The results are every bit as hilarious as you can imagine. I’ll have to echo Kiirstin’s observation about gender roles, though, but this time in regards race: I was pleasantly surprised by the “us gipsies don’t steal babies, whatever they may tell you when you’re naughty” in chapter three, but then I got to the second to last chapter, “Scalps”, in which the children wish “there were Red Indians in England”. What follows is pretty much everything you might fear from an Edwardian portrayal of Native Americans. I’ll end with a detail that caught my attention: Nesbit often uses “it” as a gender neutral pronoun. This sounded a bit less natural to me than today’s singular “they”, but all the same I thought it was a really interesting choice at a time when defaulting to “he” was the norm. Liar & Spy by Rebecca Stead: Georges (silent “s”) is a twelve-year-old boy who’s just moved out of his old home and into a new apartment building in Brooklyn. His family, we soon learn, has been in financial trouble since Georges’ father lost his job; his mother, a nurse, has been working double shifts at the hospital, and these days the two of them mostly communicate through scrabble tile messages. Georges, who is isolated at school, makes a new friend in his apartment building: Safer recruits him for his spy missions, and the two friends start tracking the mysterious Mr X, their black-clad upstairs neighbour. As Georges becomes more and more immersed in Safer’s spy activities, he begins to wonder how much he can trust his new friend. But Georges has secrets of his own, and he knows a thing or two about conjuring a different world to attempt to dull the pain of the real one. Liar & Spy is a quiet, subtle and moving novel, full of complex characters and with the same emotional resonance that drew me to Stead’s When You Reach Me. As usual, Stead’s writing is both sophisticated and immensely fun to read, and the text is sprinkled with intertextual references that add to its thematic scope. Attentive readers will likely be able to guess at the secrets Georges and Safer are keeping, but the point of the ending isn’t really to be surprising: it’s to shed light on the emotional and psychological processes that make us hide from ourselves and from others. The conclusion of Liar & Spy really moved me, especially because its hopefulness feels true to life and earned rather than facile. 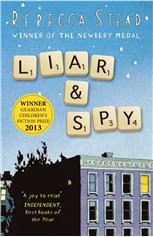 I can’t wait for whatever Rebecca Stead will write next, and it would make me very happy indeed to see Liar & Spy win the Carnegie Medal in June. Think of night-time with a speaking voice. Or think how moonlight might walk, or think of ink, if ink had vocal chords. Give those things a narrow aristocratic face with hooked eyebrows, and long arms and legs, and that is what the baby saw as it was lifted out of her cello case and up into safety. His name was Charles Maxim, and he determined, as he held her in his large hands — at arm’s length, as he would a leaky flowerpot — that he was going to keep her. Rooftoppers is set in the 19th century, and it tells the story of Sophie, an orphan girl who’s adopted by an eccentric academic, Charles Maxim. Sophie is the sole survivor of a shipwreck — or so everyone has always told her. But she can’t shake off the feeling that her mother’s still alive, and when a clue suggests that she might be in Paris, Sophie knows she has to pursue it. As Sophie and Charles investigate her past, Sophie gets to know Matteo, a Parisian orphan boy, and the fascinating world of rooftops he inhabits. 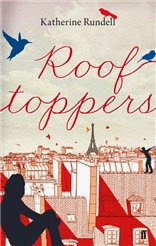 Let me start by telling you what I liked about Rooftoppers: first, the fact that it has a man in the role of caregiver. Even though other adult characters try to make their life difficult because of this, neither Charles nor Sophie see anything at all wrong with the idea that he can look after a child. Secondly, I loved that Sophie’s search for her mother doesn’t require her to deny her bond with her adoptive father. This happens much too often in stories about adopted children, even though the idea that blood is best and that a biological link always comes before the bond you develop with the person who looks after you day after day is of course damaging nonsense. There’s no reason why Sophie can’t also seek a connection with her birth mother, but the two aren’t mutually exclusive and one isn’t inherently superior to the other. It made me happy that the story recognises this and never tries to pit one relationship against the other. Miss Eliot frowned. She was not the sort of person who admitted to wearing underpants. Rooftoppers has the feel of a fairy tale, and it’s the sort of book I imagine gets described as “whimsical” quite often. And the writing, as I said, stands out from the very first page. To explain why I fell out of love with it as I read on I’ll have to point you to Sarah Mlynowski’s Battle of the Kids’ Books round, in which she picked between Far Far Away and Flora & Ulysses (a book that, as you might remember, I adored). She says: “I feel the same way about quirk as I do about salt: A little goes a long way. And this book is an ocean.” I think the same goes for whimsy, and about halfway through Rooftoppers I felt (to mix my culinary metaphors and go from salty to sweet) as if I’d eaten a whole tub of ice-cream. It was delicious, but I needed a nice long break before I could face another spoonful. I think the book also lost me when the focus shifted from Sophie’s relationship with Charles to her relationship with Matteo. Despite what I said earlier about enjoying the boy-girl friendship, their bond didn’t feel anywhere near as real to me, and the book lost the emotional momentum it had at the beginning. Much to my sadness, I never felt it quite managed to regain it. But! It probably goes without saying that this is me and that your mileage might vary. Much like I read Mlynowski’s piece and thought, “What? No! Flora & Ulysses is perfect and that was the exact right amount of salt!”, you might read Rooftoppers and stay as in love with it all the way through as I was at the beginning. As I said before, I was pleased to see it on the Carnegie shortlist, and I look forward to reading more of Rundell’s work. Debi, I normally do as well, so I'm not quite sure what didn't click here! Definitely give it a try, though - it's a delightful book. I am such a sucker for whimsy, I kind of feel like Rooftoppers might be a personal challenge now to see if there can indeed be such a thing as too much. :) But I do love stories where there are male primary caregivers, and I love that neither think of it as being an issue - also the quote made me smile widely. That said, I also get kind of sad when relationships I really enjoy in books get shunted to the side for relationships that I'm not as keen on. I always find that hard to get over. Thanks for the Nesbit mention. Mom never did read Five Children and It to us, I think specifically because she couldn't stomach the chapter you reference; I remember her saying she thought it was too dated. I have never read it either, but it sounds like so much fun... with caveats. When WILL Hilary McKay's brilliance be more widely recognized? Everyone I've given her books to has loved them (obviously), so there just needs to be some sort of recurring worldwide press release so that everybody can love her as we do. Have you read anything by Edward Eager, ever? I read his books when I was quite young, and he was constantly going on about E. Nesbit, and when I finally did read E. Nesbit, I thought she wasn't nearly as good as Edward Eager. I'd be interested to know your thoughts. I didn't realize that Rooftoppers was set in the olden days! Oh, I am so relieved! Hilary McKay recommended it on her website, but then I saw on the internet that it was about an orphan girl trying to escape from a nefarious childcare worker. And as I may have said before in this space, I am so over the trope of the evil social worker who only wants to steal poor children away from their parents for NO REASON. But, goody! It is set in Victorian times! Excellent news. I grew up on E. Nesbit and still love her. I read Five Children and It and The Phoenix and the Carpet to my own daughter recently and they had her in stitches. As a kid I always assumed that the "Red Indians" were obviously not supposed to be real people--they were small, and spoke the way a kid would, and so on. I should add--Nesbit did do quite a bit of stereotype correcting in her day. I remember in another book, there is a French governess character who talks about having lived with nuns, and the English girls (having been brought up on horror stories about Papists) are horrified, worried that she was "bricked up" and tormented. The governess reassures them on that point. OTOH, there are also cannibal islands and boys talking about the white men's burden! There is an interesting episode with the children visiting the future, too. They meet a little boy who wears comfortable clothes and has never been spanked--he lives in a beautiful (Fabian) paradise. One of my own favorites is The House of Arden. Although we all love Edward Eager, we love E. Nesbit more, and Five Children and It is one of our favorites, not least because when we read it out loud, our cat Sammy would always come in and join us, purring at how often we said his name. 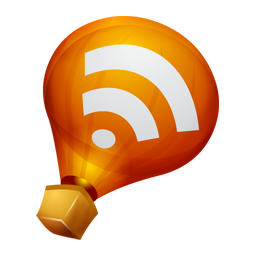 Kiirstin: I look forward to hearing what you think of Rooftoppers! And I definitely recommend picking up Five Children and It, though with the caveats firmly in mind. I hope to make time for The Railway Children at some point this year! Jean: She sounds like she was such an interesting woman. I could see some of the stereotype correcting at work in Five Children and It in other chapters - and she also sounds like she was such an advocate for children. I actually have Julia Briggs' Nesbit biography, A Woman of Passion, on my TBR - one of these days I'll have to make time for it. Aww, Five Children and It! My favorite Nesbit book, for all those lovely reasons you highlighted. I'd recommend the rest of the trilogy too--the first is my favorite, but The Phoenix and the Carpet and The Story of the Amulet are pretty delightful. I've seen Rooftoppers around but hadn't heard anything about it until now and can't quite decide if it sounds like my thing. The voice sounds fantastic though - maybe it's be one of these books I'd be carried through by that. I'm so so happy to hear that Liar and Spy is as lovely as When You Reach Me, which was such a magical read. The best, though, was probably when I gave it to my sister, along with A Wrinkle in Time and the very careful instructions that she was not to read When You Reach Me before she read A Wrinkle in Time. She's a reluctant reader, but she dutifully reads the books I give her, and I was so happy to receive the phone call when she was just amazed at how the books worked together and she just didn't know that books could do that. She doesn't read many "magical" books anymore, she really prefers fiction grounded in reality, which makes me just as happy, because I read a lot more contemporary books so we have books to talk about. Jodie: Do give it a try! This is one of those cases where I can see a book's strengths even if it didn't quite work for me. Also, it's been winning a bunch of awards, so clearly it resonates with people. Lu: Aw, that's a perfect pairing indeed, and it's so nice that you got to share it with your sister. Although there isn't a direct connection between the two I happened to read Liar & Spy just after Harriet the Spy, and it was interesting to see how they each approached some similar concepts and plot points.